Tiles tend to get dirty quickly, especially grouts could be a massive headache. You need commercial grade equipment to safely remove the dirt from grouts and clean your tiles thoroughly. We have experienced and qualified technicians with extensive knowledge to ensure your tiles look brand new again. 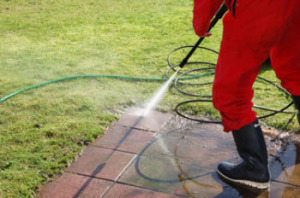 It is possible to find many tile cleaning companies in Canberra, especially lately there are heaps of new start up businesses who offer these services. However when choosing the right one, you must be very careful with your decisions as you don’t want to damage your expensive tiling in your home or office. Whether you have a big office or a small one, we can certainly help. No job is too big or too small for us, as we utilise top grade machines and can guarantee %100 customer satisfaction. If you are a homeowner and just want your bathroom or kitchen tiles cleaned, our friendly technicians can come out and make them sparkle again. We offer obligation free quotes and can draft one up for you right away on the phone or via email. 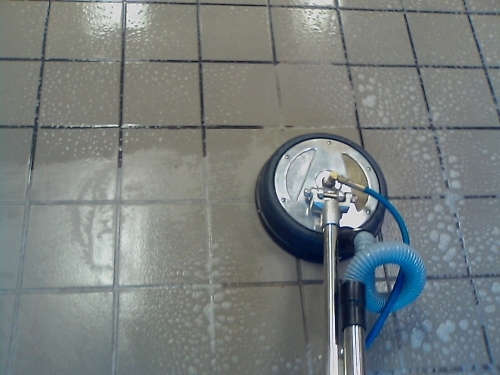 There are two different sort of tile & grout cleaning machines, one can utilise. Both are fairly simple to operate and don’t require much experience. However these machines are fairly expensive. You can use steam cleaner and a pressure washer. Steam cleaner does not only clean your tile and grouts, but it also kills germs and bacteria as well. However you need to be sure to invest in a good steam cleaner, as the cheap ones tend to break and cause a lot of headaches. They also don’t heat up enough to thoroughly clean your tiling. Best of all make them shine again! If you still have any questions, be sure to check out our frequently asked questions page.